This was John Paluska’s first Phish show and also the first known live Gamehendge, complete with narration between songs from McGrupp through Possum. 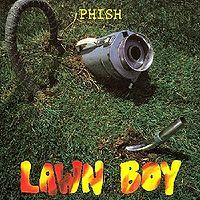 This show contained the first known Phish version of Jump Monk and the first known versions of Tela and Forbin’s (although on 5/21/88, Trey called Tela a debut). Antelope contained Dixie teases from Trey. The members of Phish were, by accounts, at the Frank Zappa concert up the street at the Burlington Memorial Auditorium before this Nectar’s gig. This setlist is incomplete. @SlavePhan's review is great, as usual. I had this tape back in the day, but I just downloaded the spreadsheet version and listened to it for the first time in at least 7 years. McGrupp is a favorite tune of mine, I like how the piano solo blends into what would become the bridge to "Esther", and cues Trey's narration. His first narration is hesitant, but after Lizards, he sounds increasingly confident. ("Icculus, the great and knowledgable - [sings] ahh-ahhhhh - we all know who he is"). To my ears, Tela sounds "new", but the rest of the material is played well, in typical 1988 Phish style. Check out the jam-ending to the Sloth in an 11/16 time signature! Each member of the band plays a repeated figure, all with different rhythmic accents, and ascending diminished chords. It strikes me as a kind of theoretical bridge between Dave's Energy Guide and the "Fishman Dance" section of It's Ice. Before they start The Sloth, it sounds like the band is trying to remember this part, which excites an audience member or two into thinking that Phish might play the Grateful Dead's "Eleven". Probably another example of the band messing with their audience's "GD cover band" expectations. I hear background music on the spreadsheet version as well, although it sounds to me like a dub over another recording on a deck with a faulty erase head. Even if I am wrong, I still hope a better source for this show becomes available. I disagree on the date of this show: it is my personal opinion that Phish would not schedule a gig on the same night as a local Frank Zappa concert, as the band (Trey and Fish particularly) would have made attending the concert a priority. I think the debut of Tela on 5/21 is correct, and therefore the date of the first Gamehenge show would be after 5/21. My guess is Sunday 5/22/88, for which there is no setlist. However, as with many things Phish, the element of mystery makes it more interesting. In the middle of a busy spring, one wouldn't think to find one of Phish's most historic shows. An abnormal mid-month stop at Nectar's (the band reportedly played their usual two-shows-in-a-row on 3/20, 3/21, and 3/22), the band played Nectar's likely because one of their favorite musicians, Frank Zappa, was playing up the street and it seemed like a good post-show opportunity. But there still is some uncertainty about whether this is the right date for this show. By many accounts, some in the Pharmer's Almanac, as well as on the tapes of the FZ show from this date (listen carefully before set 2...someone says "I just saw Phish over there! "), Phish was in attendance for FZ on this night. Page has even mentioned that someone threw a Phish shirt on stage and Frank held it up, to cheering by the audience. While it hasn't been cleared up exactly when this show took place, the point is that, on this night, the band was inspired to do something they only did 5 times in their entire career. In the spring of 1988, Trey had been putting some serious work into his senior thesis. While several of the songs had already been written and were worked into the thesis conveniently (McGrupp, Wilson, AC/DC Bag, Possum, and the Sloth), many new songs resulted from Trey's project (Forbin's, Mockingbird, Tela, and the Lizards, all of which debuted in this time frame). 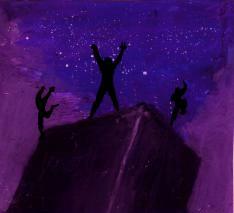 Perhaps inspired by Zappa, the band decided to give the whole narrative a go. This was the first time that the band had played Tela and Forbin's, and Mockingbird was a mere infant, having only been played once before. As a result, this gamehendge plays much more like the official recording of Trey's thesis than some of the later versions where Trey had developed the story more (e.g. 3/22/93). For that reason, this is likely the weakest Gamehendge the band has played muscially, but also the most mysterious. Starting the show with Jump Monk, a cover the band would never play fully again, although a song which would be stripped and rewritten to make up a few chord progressions in Stash, the band got right into things in this set with an early McGrupp. This is the only Gamehendge to feature McGrupp at the start of the cycle to serve as the bridge. It is a pretty McGrupp, though, and the long Page solo part does serve as the narration music in the original recording by Trey for his project. Whether by chance, or inspired by Zappa, or just trying to practice the songs he'd just written, Trey begins the narration with the standard "Once upon a time, there was a man...". The narration is very similar to most versions. Colonel Forbin, noted to be 52-years old here, wants to do something more with his life and a door that he had been noticing recently piqued his curiosity. Off he goes, into the door, and he enters Gamehendge. I won't recant the whole story for you, as there's a great FAQ on it here at phish.net. Lizards is played really well on this night. It features dedicated playing by Page and a perfect climatic arpeggio section by Trey. The Tela here is different, as it begins with the whole first verse consisting of just Trey playing chords and Page singing. The band doesn't come in until after the first verse. It's important to note here, too, that many early versions of Tela in 1988 had two sections of verses. One that Trey excised to the song structure that we hear today. Another combination of verses was a little more upbeat and with a different progression that lead into the chorus. So, this Tela is definitely unusual to most listeners. While the band played this 'odd' version of Tela for a little while, it was shelved and reworked until 1989. As much as I like the upbeat-y verses, especially in contrast to the traditional Tela verses, I think that overall Trey did the song a service when he cut the song short. Most folks won't like this longer version, although they may like the ending, which features a totally different ending chorus (Teee-laa, baby bore?, Teeee-laaaa, wild world grown?, Teeee-laaaaa, voice of doom). Then, there's a really weird closing lick, featured by a Who Do We Do series of short notes. Wilson here is a bit delayed, as there's about 2 minutes of narration as the band plays with Wilson's first 2 notes. The Wilson itself is very short, with a very little extension. It's at the end of Wilson that we can even hear bar music going on in the background (Allmans from what I can hear), so we know the show wasn't well attended. The audience cheers at the introduction of AC/DC Bag, so there are a few fans in attendance. This rowdy bag peters out like usual, and the narration continues. The first Forbin's is actually played without many major flubs and the band almost perfectly moves into Mockingbird. Fish had revamped the drum section from the previous attempt on 2/7, and the song sounds much better. The narration before this song is interesting, as Trey calls out Steve from the audience for knowing Icculus and the Sloth. This Sloth includes "the whole 11 thing", which Page asks about. What he means here is that this is the first complete Sloth, with the heavy metal bridge. Prior to this version, the band hadn't played the middle section and versions were painfully short (around 2 minutes or so). After the Sloth, the band also plays what I like to call the "Tension Gamehendge Music", music that went into the tapes of the senior thesis and kind of served as an 'ending' to the narration. This is the only live version to include Possum, as it somehow is related to the story, with Icculus serving as the singer (I come from top the mountain). It's a nice long Possum, inspired, but nothing too fancy. More interesting is the set-closing Antelope, which includes both "Touch Me" and "Dixie" teases by Page and Trey. It comes to a screaming close but tapes cut before the conclusion. An interesting aside, this show was the first show that future Phish manager John Paluska ever attended. He was up on a ski trip and came over for the show. After hearing the band on this night (and he recounts his tale in interviews that one can find online), he would later agree to bring them around to different venues in the New England area. Perhaps Phish did know what they were doing when they played Gamehendge the first time. Also, it is likely no coincidence that the band would play Gamehendge exactly 5 years later. Although Trey does mention on 3/22/93 that he plays the cycle because he hadn't had a good attentive audience, perhaps he was also reminded of the 5-year anniversary of the first time the band played it, which gives us an even stronger clue as to the actual date of this show. 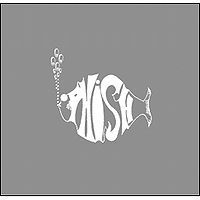 This was the first Phish tape that I ever owned. I initially heard it during the summer of 1994, when I was 14 years old. I'd just flown into Montrose, CO where a friend's family picked me up to drive us to Telluride for the week. My friend played this tape in the car, and the Gamehenge narration and "The Lizards," especially, was unlike anything I'd ever heard. Until that point, I'd never been exposed to any non-album songs besides seeing Phish at Sunfest in Florida a few months earlier. They were already my favorite band, but exposure to this mythology struck a chord with my bookish nature and truly deepened my relationship with Phish's music. When we arrived in Telluride, Phish's visits in '88, '90, and '91 were still a strong part of local kids' collective memories. Everyone we met loved them, and the San Juan Mountain town seemed a living part of Phish lore. This is perhaps the most complete live Gamehenge narration available--and the bonus of hearing them play Charles Mingus' "Jump Monk" makes this a must download. So, with this being the first complete reading of Gamehendge, how can I be only the 24th person to rate it? This is a seriously important moment in the history of my (and your) favorite band! The tape is very listenable, though certainly not on par sound wise with a modern recording. But the material is freaking awesome that this should be required listening for anyone considering themselves to be a phan. The first true performance of Gamehendge. Historic, yes. To say the least. Awesome that this tape exists with all the narration and everything. Phish was really being ballsy at this show by doing this live, and you have to respect their courage. Imagine a band doing that in a bar today! Yeah, right. The narration is cool, and Colonel Forbin's Ascent is one of my all time favorite songs, so can't complain. The Possum and Antelope leave much to be desired, and the whole gamehendge set wasn't played to the best it could be, but it was cool to hear it in full.